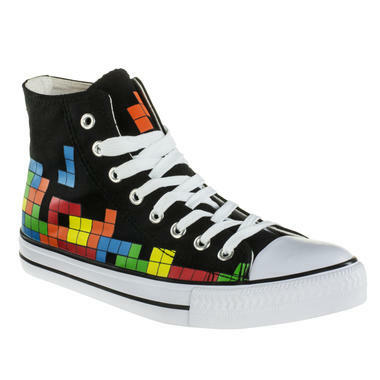 Sneakers with geeky arcade print. 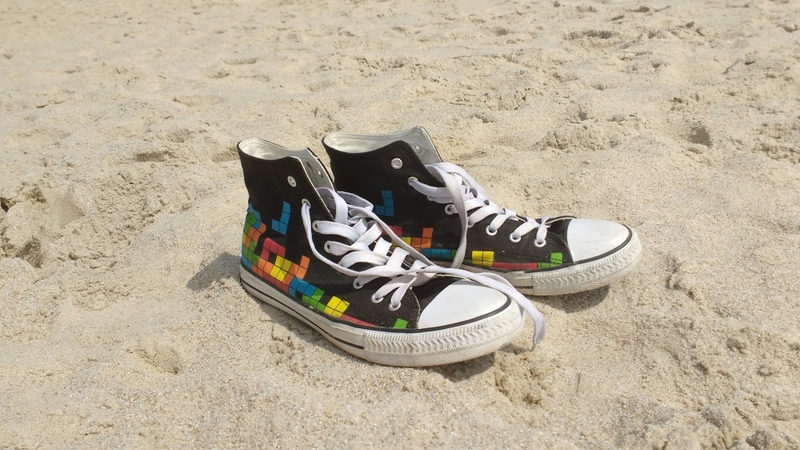 Black textile sneakers with imprinted pixel game. 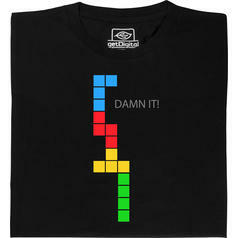 Our wardrobe is filled with T-shirts, sweaters and jumpsuits. 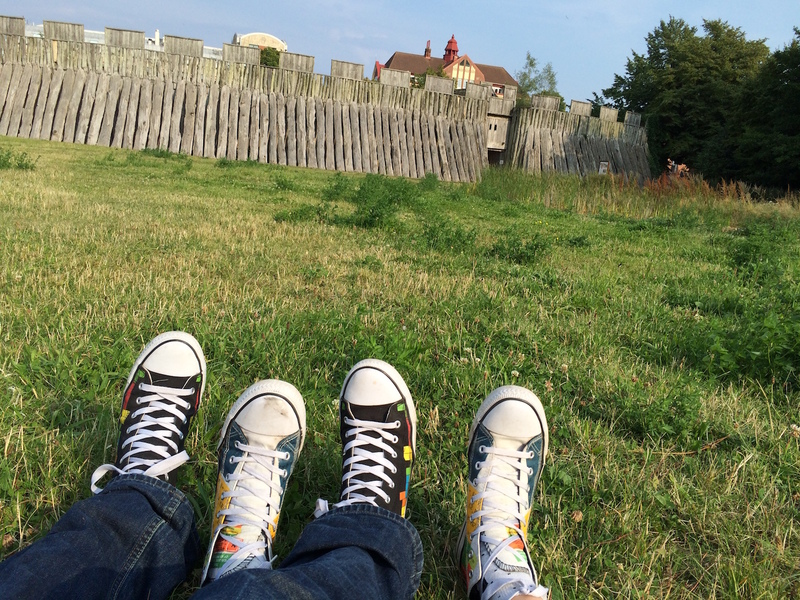 Only our feet lack some innovative geek style!. 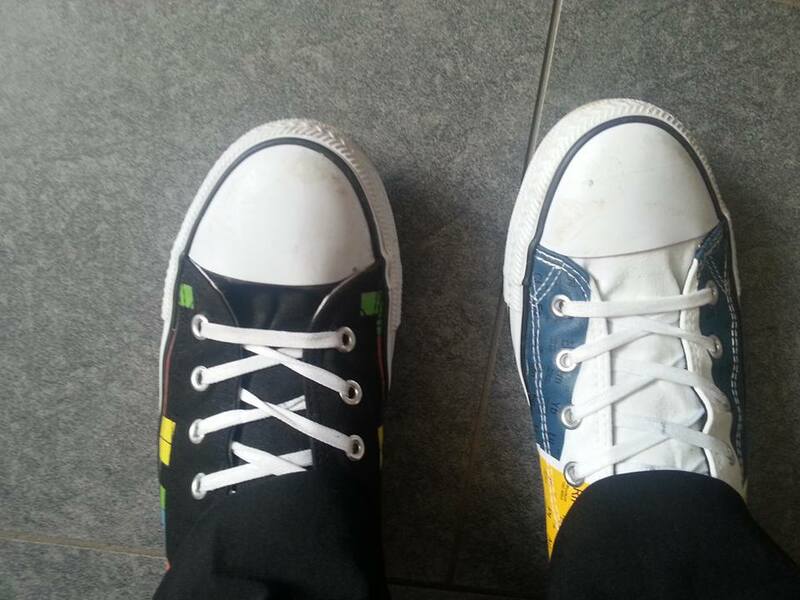 Luckily our very own designed Geek Shoes are ready to hit the streets. 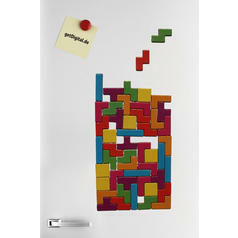 Suitable for every geeky occasion, these shoes are imprinted with the well-known arcade blocks we love so much. 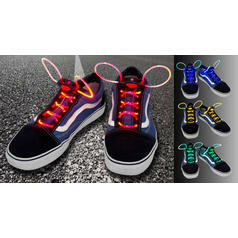 Read the history of our own shoe design here (in German only). Great for guys and gals, these shoes are ideal for both warm and autumnal weather (and even winter too with thicker socks). Every pair of Geek Shoes comes in a shoebox with a geeky print, perfect as a gift (of course with the shoes inside) or for storing bits and bobs. 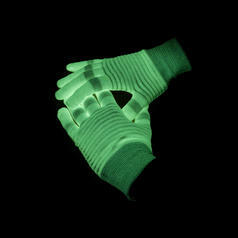 And especially favoured by cats, of course! 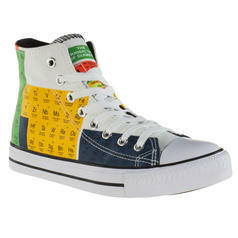 If you're less of a gamer and more of a scientist, you might like these Periodic Table Shoes, also in the shop. 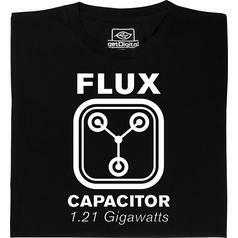 Sizes available: 37 to 45.
from 16.95 £ lade... Fair Geek Wear Flux Capacitor T-Shirt The heart of a time machine: everything else you need is a nuclear reactor. 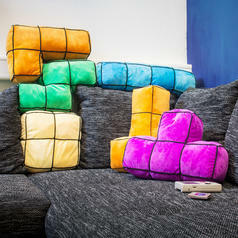 19.00 £ 12.95 £ lade... 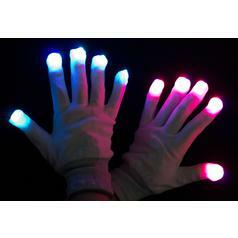 LED Gloves With three coloured LEDs in each fingertip - you'll have your own light show for the nightclub. 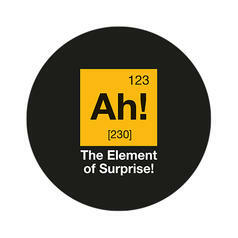 from 1.25 £ lade... Geek Sticker The Element of Surprise Nobody could have expected this sticker!